I have an amazing product I really want to rave about, so if you only read the first sentence of this post, GET THIS... IT'S GOOD. 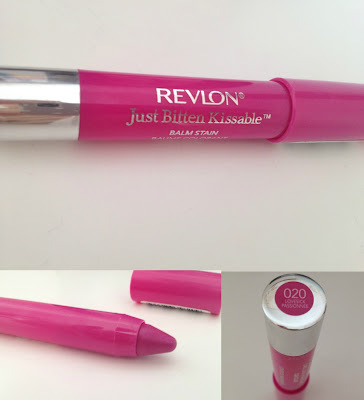 I had seen a few good reviews about the Revlon Just Bitten Kissable Balm Stain and I'm liking the new moisturizing colour trend occurring at the moment with the Revlon Colourburst Lip butters, the No7 Nourishing Lip Shine and the Clinique Chubby Sticks, as well as these! I saw it in Boots the other day for £5.99 down from £7.99 and thought I'd get in on the action while the offer is still on, and I'm so glad I did! I swatched all the colours in the shop and decided on the number 20, Lovesick shade! I love how it's like a big crayon! And I also like that you twist the bottom to make the top come out, so you don't have to sharpen it. The colour range is great and they are all really pigmented. And stain is deffo the right word! I swatched this to take these photos and hours later, after washing my hands multiple times it was still there! It doesn't come off! 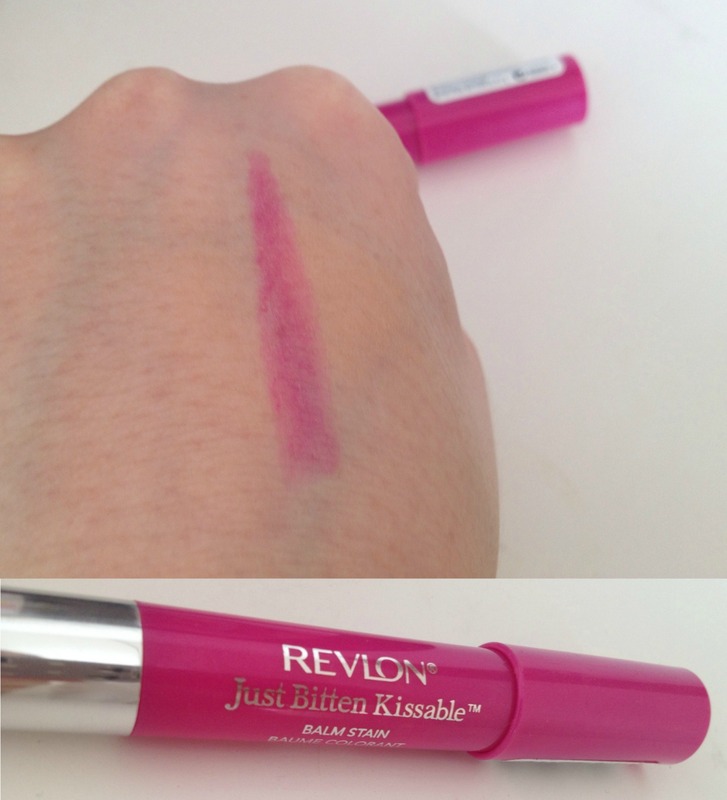 I wore it out on Saturday night and it's perfect because I didn't have to re-apply it once! It's really moisturizing, it stays on forever, you don't have to use a lot so it's worth the money and they have such pretty colours! I literally have nothing bad to say about this product! I think I'll be trying the Rendezvous shade in a lovely coral colour next! Have you tried any of these balm stains? I've not yet bought one of these, but I do think they need to improve the colour range as they're all very dramatic! lovely! i have smitten, which is similar to this, but i think i may like this more.. might have to pick it up too!